I was a member of IRIDIA-CoDE --- the artificial intelligence research laboratory of the Université Libre de Bruxelles in Belgium. I was under the supervision of Prof. Marco Dorigo. My research was partly supported by Swarmanoid, a project funded by the Future and Emerging Technologies programme (IST-FET) of the European Commission, under grant IST-022888. For the other part, I received a Scholarship for Excellence grant from Wallonia-Brussels-International (WBI). Currently, I am an employee of Netcetera. In May 2010, I completed my formation doctorale in applied sciences from the Faculty of Engineering of the Université Libre de Bruxelles, Belgium. In July 2008, I received an M.Sc. degree in computer science from the University of Freiburg in Germany with a specialization in artificial intelligence and robotics. My master's thesis was co-supervised by both Prof. Bernhard Nebel and Prof. Marco Dorigo. Prior to that, in January 2006, I obtained a Graduate Engineer's degree [Dipl.-Ing] in applied computer science from the University of Applied Sciences and Arts Northwestern Switzerland, Switzerland. I wrote my degree dissertation at the Swiss Federal Institute for Snow and Avalanche Research. Here is a link to my Google Scholar profile. 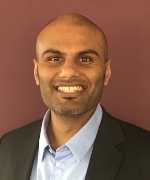 You can reach me by email at nmathews@ulb.ac.be or get in touch with my alter ego at LinkedIn. Self-assembling robots have the potential to undergo autonomous morphological adaptation. However, due to the simplicity in their hardware makeup and their limited perspective of the environment, self-assembling robots are often not able to reach their potential and adapt their morphologies to tasks or environments without external cues or prior information. In this paper, we present supervised morphogenesis --- a control methodology that makes self-assembling robots truly flexible by enabling aerial robots to exploit their elevated position and better view of the environment to initiate and control (hence supervise) morphology formation on the ground. We present results of two case studies in which we assess the feasibility of the presented methodology using real robotic hardware. In the case studies, we implemented supervised morphogenesis using two different aerial platforms and up to six self-assembling autonomous robots. We furthermore quantify the benefits attainable for self-assembling robots through cooperation with aerial robots using simulation-based studies. The research presented in this paper is a significant step towards realizing the true potential of self-assembling robots by enabling autonomous morphological adaptation to a priori unknown tasks and environments. The study of self-assembling robots represents a promising strand within the emerging field of modular robots research. Self-assembling robots have the potential to autonomously adapt their bodies to new tasks and changing environments long after their initial deployment by forming new or reorganizing existing physical connections to peer robots. In previous research, many approaches have been presented to enable self-assembling robots to form composite morphologies. Recent technological advances have also increased the number of robots able to form such morphologies by at least two orders of magnitude. However, to date, composite robot morphologies have not been able to solve real-world tasks nor have they been able to adapt to changing conditions entirely without human assistance or prior knowledge. In this thesis, we identify three reasons why self-assembling robots may not have been able to fully unleash their potential and propose appropriate solutions. First, composite morphologies are not able to show sensorimotor coordination similar to those seen in their monolithic counterparts. We propose ``mergeable nervous systems'' -- a novel methodology that unifies independent robotic units into a single holistic entity at the control level. Our experiments show that mergeable nervous systems can enable self-assembling robots to demonstrate feats that go beyond those seen in any engineered or biological system. Second, no proposal has been tabled to enable a robot in a decentralized multirobot system select its communication partners based on their location. We propose a new form of highly scalable mechanism to enable ``spatially targeted communication'' in such systems. Third, the question of when and how to trigger a self-assembly process has been ignored by researchers to a large extent. 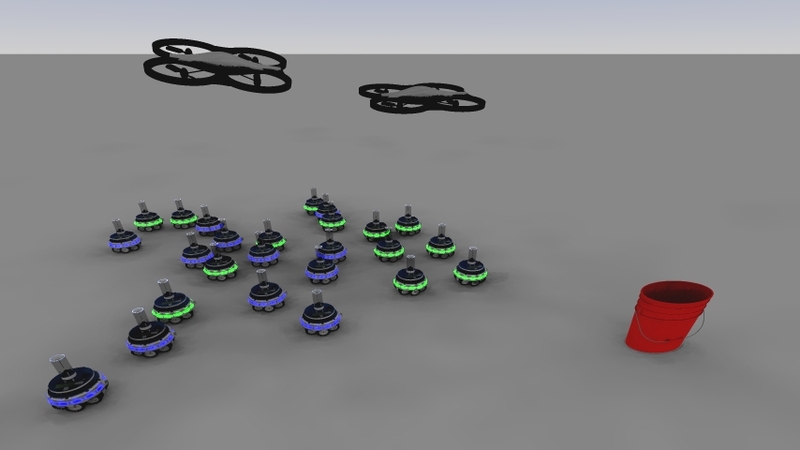 We propose ``supervised morphogenesis'' -- a control methodology that is based on spatially targeted communication and enables cooperation between aerial and ground-based self-assembling robots. We show that allocating self-assembly related decision-making to a robot with an aerial perspective of the environment can allow robots on the ground to operate in entirely unknown environments and to solve tasks that arise during mission time. For each of the three propositions put forward in this thesis, we present results of extensive experiments carried out on real robotic hardware. Our results confirm that we were able to substantially advance the state of the art in self-assembling robots by unleashing their potential for morphological adaptation through enhanced sensorimotor coordination and by improving their overall autonomy through cooperation with aerial robots. Robots have the potential to display a higher degree of lifetime morphological adaptation than natural organisms. By adopting a modular approach, robots with different capabilities, shapes and sizes could, in theory, construct and reconfigure themselves as required. However, current modular robots have only been able to display a limited range of hard-wired behaviors because they rely solely on distributed control. Here, we present robots whose bodies and control systems can merge to form entirely new robots that retain full sensorimotor control. Our control paradigm enables robots to exhibit properties that go beyond those of any existing machine or of any biological organism: the robots we present can merge to form larger bodies with a single centralized controller, split into separate bodies with independent controllers, and self-heal by removing or replacing malfunctioning body parts. This work takes us closer to robots that can autonomously change their size, form and function. We study the psychophysiological state of humans when exposed to robot groups of varying sizes. 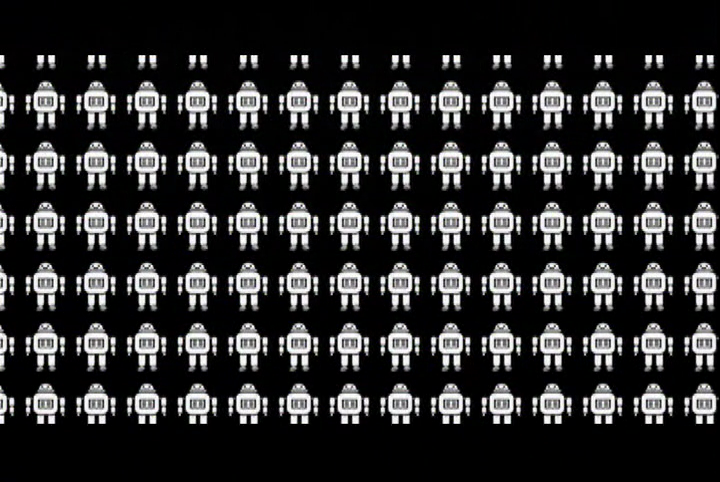 In our experiments, 24 participants are exposed sequentially to groups of robots made up of 1, 3 and 24 robots. We measure both objective physiological metrics (skin conductance level and heart rate), and subjective self-reported metrics (from a psychological questionnaire). These measures allow us to analyse the psychophysiological state (stress, anxiety, happiness) of our participants. Our results show that the number of robots to which a human is exposed has a significant impact on the psychophysiological state of the human and that higher numbers of robots provoke a stronger response. Spatially targeted communication allows a message sender to choose message recipients based on their location in space. Currently, spatially targeted communication in multirobot systems is limited to centralized systems. In this paper, we propose a novel communication protocol that enables spatially targeted communication in decentralized multirobot systems. The proposed protocol dispenses with the centralized aspects that underpin previous approaches, including external tracking infrastructure, a priori knowledge, global information, dedicated communication devices or unique robot IDs. We show how off-the-shelf hardware components such as cameras and LEDs can be used to establish ad-hoc spatially targeted communication links between robots. We present a Markov chain model for each of the two constituent parts of our proposed protocol and we show, using both model-based analysis and experimentation, that the proposed protocol is highly scalable. We also present the results of extensive experiments carried out on an autonomous, heterogeneous multirobot system composed of one aerial robot and numerous ground-based robots. Finally, two real-world application scenarios are presented in which we show how spatial coordination can be achieved in a decentralized multirobot system through spatially targeted communication. Swarm robotics systems are characterized by decentralized control, limited communication between robots, use of local information, and emergence of global behavior. Such systems have shown their potential for flexibility and robustness. However, existing swarm robotics systems are by and large still limited to displaying simple proof-of-concept behaviors under laboratory conditions. It is our contention that one of the factors holding back swarm robotics research is the almost universal insistence on homogeneous system components. We believe that swarm robotics designers must embrace heterogeneity if they ever want swarm robotics systems to approach the complexity required of real-world systems. We present a novel multi-robot simulator named ARGoS. ARGoS is designed to simulate complex experiments involving large swarms of robots of different types. ARGoS is the first multi-robot simulator that is at the same time both efficient (fast performance with many robots) and flexible (highly customizable for specific experiments). Novel design choices in ARGoS have enabled this breakthrough. First, in ARGoS, it is possible to partition the simulated space into multiple sub-spaces, managed by different physics engines running in parallel. Second, ARGoS' architecture is multi-threaded, thus designed to optimize the usage of modern multi-core CPUs. Finally, the architecture of ARGoS is highly modular, enabling easy addition of custom features and appropriate allocation of computational resources. We assess the efficiency of ARGoS and showcase its flexibility with targeted experiments. Experimental results demonstrate that simulation run-time increases linearly with the number of robots. 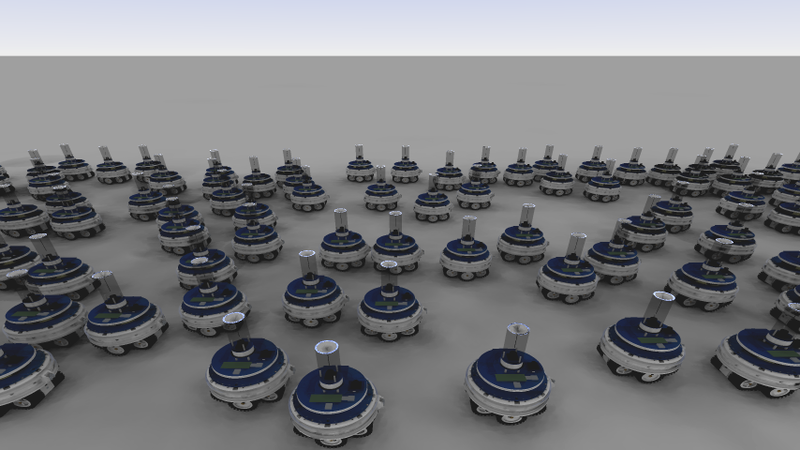 A 2D-dynamics simulation of 10,000 e-puck robots can be performed in 60 % of the time taken by the corresponding real-world experiment. We show how ARGoS can be extended to suit the needs of an experiment in which custom functionality is necessary to achieve sufficient simulation accuracy. ARGoS is open source software licensed under GPL3 and is downloadable free of charge. Best IROS 2012 Video Award Finalist. More than 695 000 views on YouTube. We introduce spatially targeted communication -- a communication method for multirobot systems. This method allows an individual message sending robot to isolate selected message recipient robots based on their spatial location. The recipient robots can then be sent information targeted solely at them, even if the sending robot uses a broadcast communication modality. We demonstrate spatially targeted communication using a heterogeneous multirobot system composed of flying robots and ground-based self-assembling robots. 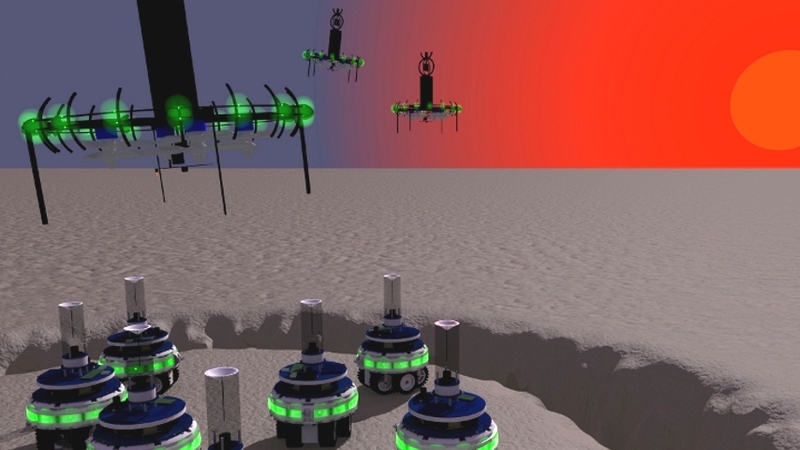 Flying robots use their privileged view of the environment to determine and communicate information to groups of ground-based robots on what morphologies to form to carry out upcoming tasks. Media coverage of the Swarmanoid project -- includes visuals from research carried out on "Supervised Morphogenesis". "Hosted by Ziya Tong and Dan Riskin, this hour-long daily series opens the door wide to the world of science. Whether it's space, sports, movies or microbiology, the message is clear: science is everywhere." -- Daily Planet, Discovery Channel Canada. 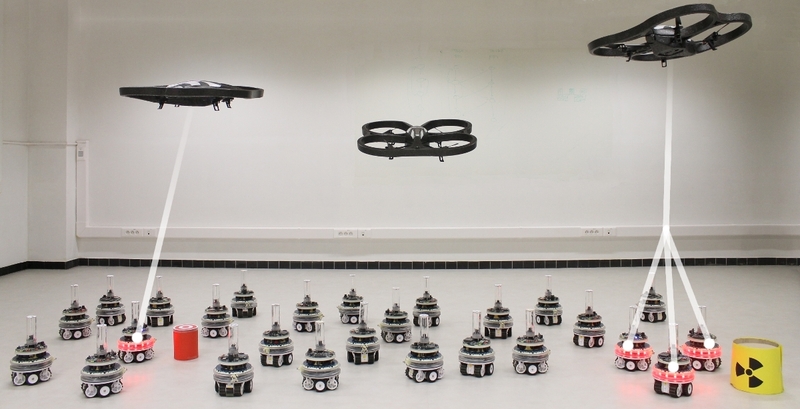 In this paper, we study a heterogeneous robot team composed of self-assembling robots and aerial robots that cooperate with each other to carry out global tasks. We introduce supervised morphogenesis - an approach in which aerial robots exploit their better view of the environment to detect tasks on the ground that require self-assembly, and perform on-board simulations to determine the morphology most adequate to carry out the task. In case existing morphologies on the ground do not match those determined in simulation, aerial robots use a series of enabling mechanisms to initiate and control (hence supervise) the formation of morphologies more adequate to carry out the task. Supervised morphogenesis solely employs LEDs and camera-based local communication between the two robot types. We validate the applicability of our approach in a real-world scenario, in which ground-based robots are given the task to cross an unknown, undulated terrain by forming ad-hoc morphologies under the supervision of an aerial robot. Best Video Award @ AAAI-11 Video Competition (AIVC 2011). San Francisco. September 2011. Botsker Award for the Most Innovative Technology @ 2nd Annual Robot Film Festival. New York City. July 2012. Prix Wernaers 2012, Brussels, August 2012. More than 440 000 views on YouTube. We introduce enhanced directional self-assembly (EDSA) -- a novel mechanism for morphology growth through the creation of directed connections in a self-assembling multirobot system. In our approach, a robot inviting a physical connection actively recruits the best located neighboring robot and guides the recruit to the location on its chassis where the connection is required. The proposed mechanism relies on local, high-speed communication between connection inviting robots and their recruits. Communication is based on a hybrid technology that combines radio and infrared to provide local relative positioning information when messages are transmitted between adjacent robots. Experiments with real robotic hardware show that EDSA is precise (misalignment of only 1.2° on average), robust (100% success rate for the experiments in this study) and fast (16.1 seconds on average from a distance of 80 cm). We show how the speed and precision of the new approach enable adaptive recruitment and connection in dynamic environments, a high degree of parallelism, and growth of a moving morphology. We present ARGoS, a novel open source multirobot simulator. 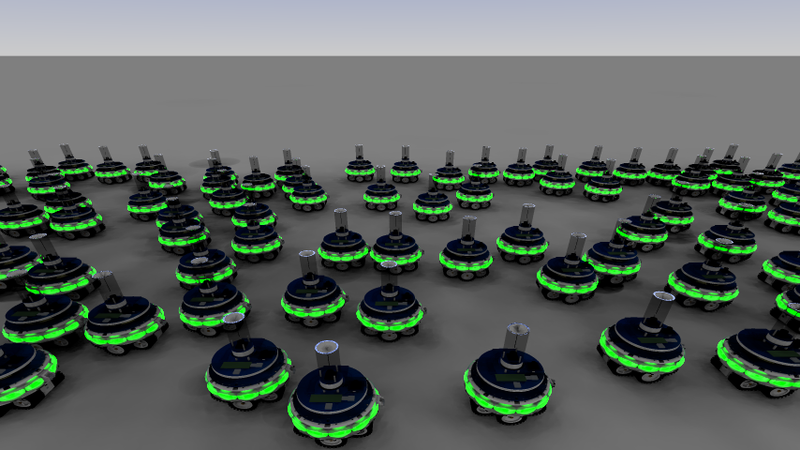 The main design focus of ARGoS is the real-time simulation of large heterogeneous swarms of robots. Existing robot simulators obtain scalability by imposing limitations on their extensibility and on the accuracy of the robot models. By contrast, in ARGoS we pursue a deeply modular approach that allows the user both to easily add custom features and to allocate computational resources where needed by the experiment. 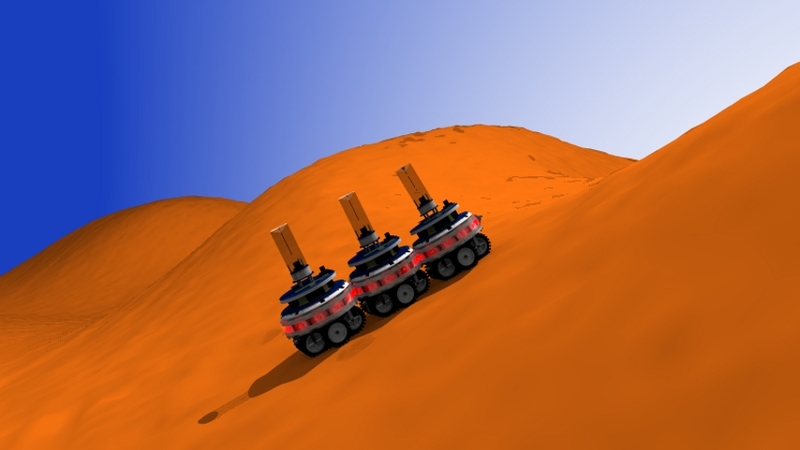 A unique feature of ARGoS is the possibility to use multiple physics engines of different types and to assign them to different parts of the environment. Robots can migrate from one engine to another transparently. This feature enables entirely novel classes of optimizations to improve scalability and paves the way for a new approach to parallelism in robotics simulation. Results show that ARGoS can simulate about 10,000 simple wheeled robots 40% faster than real-time. We propose a novel communication strategy inspired by explicit signaling mechanisms seen in vertebrates, in order to improve performance of self-organized flocking for a swarm of mobile robots. The communication strategy is used to make the robots match each other's headings. The task of the robots is to coordinately move towards a common goal direction, which might stay fixed or change over time. We perform simulation-based experiments in which we evaluate the accuracy of flocking with respect to a given goal direction. In our settings, only some of the robots are informed about the goal direction. Experiments are conducted in stationary and non-stationary environments. In the stationary environment, the goal direction and the informed robots do not change during the experiment. In the non-stationary environment, the goal direction and the informed robots are changed over time. In both environments, the proposed strategy scales well with respect to the swarm size and is robust with respect to noise. We consider a heterogeneous swarm robotic system composed of wheeled and aerial robots called foot-bots and eye-bots, respectively. The foot-bots are able to physically connect to one another autonomously and thus form collective robotic entities. Eye-bots have a privileged overview of the environment since they can fly and attach to metal ceilings. In this paper, we show how the heterogeneous swarm can benefit from cooperation. By using so-called spatially targeted communication, the eye-bot is able to communicate with selected groups of foot-bots and instruct them on how to overcome obstacles in their path by forming morphologies appropriate to the obstacle encountered. We conduct experiments in simulation to quantify separately the benefits of cooperation and of spatially targeted communication. In this paper, we study how an opinion dynamics model can be the core of a collective decision-making mechanism for swarm robotics. Our main result is that when opinions represent action choices, the opin- ion associated with the action that is the fastest to execute spreads in the population. Moreover, the spread of the best choice happens even when only a minority is initially advocating for it. The key elements involved in this process are consensus building and positive feedback. A foraging task that involves collective transport is used to illustrate the potential of the proposed approach. 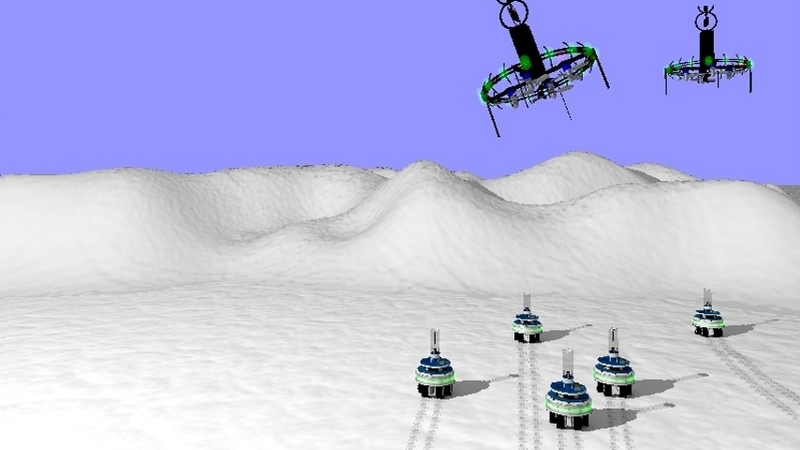 We consider a heterogeneous swarm consisting of aerial and wheeled robots. We present a system that enables spatially targeted communication. Our system enables aerial robots to establish dedicated communication links with individual wheeled robots or with selected groups of wheeled robots based on their position in the environment. The system does not rely on any form of global information. We show how a spatially targeted one-to-one communication link can be established using a simple LED and camera based communication modality. We provide a probabilistic model of our approach to derive an upper bound on the average time required for establishing communication. In simulation, we show that our approach scales well. Furthermore, we show how our approach can be extended to establish a spatially targeted one-to-many communication link between an aerial robot and a specific number of co-located wheeled robots. 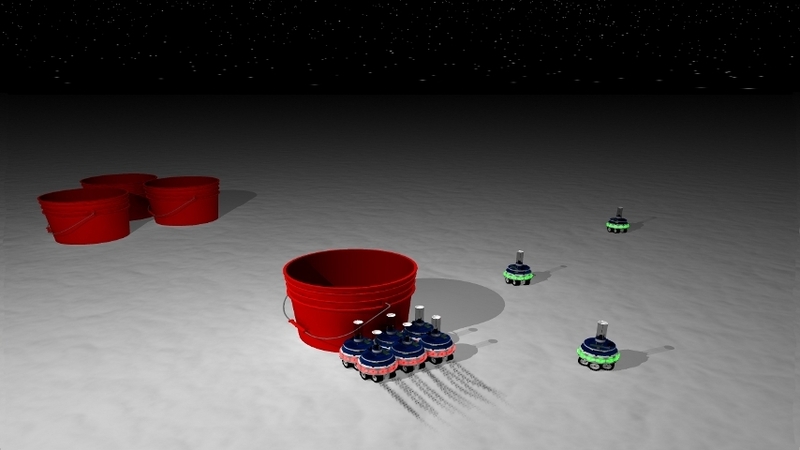 The heterogeneous swarm robotic hardware is currently under development. We therefore demonstrate the proposed approach on an existing multirobot system consisting of only wheeled robots by letting one of the wheeled robots assume the role of an aerial robot. In nature, there are examples of large groups of animals that are capable of making optimal collective-level decisions without the need for global control or information. Understanding the underlying mechanisms of such decentralized decision-making processes may help us to design artifcial systems that exhibit some of the desirable properties, like scalability or fault tolerance, that are usually observed in these natural systems. In this paper, we show how a simple social influence mechanism, based on the binary particle swarm optimization algorithm, can make a whole population of agents achieve consensus on one of two possible choices in a completely decentralized way. Furthermore, we show that, if the conditions for achieving consensus are met and each choice is bound to an action that takes time to perform, the population converges to the choice associated with the shortest execution time. We illustrate the applicability of the decision-making mechanism presented in this paper on an example scenario in swarm robotics.